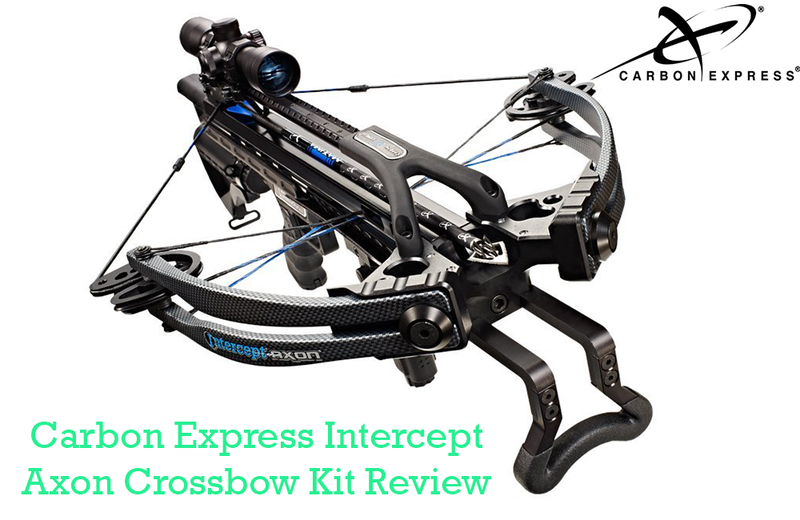 The Carbon Express Intercept Axon Crossbow Kit bow (Rope Cocker, 3 Arrow Quiver, 3 Crossbolts, Rail Lubricant, 3 Practice Points, 4×32 Glass-Etched Reticle Lighted Scope) will make you look twice. This bow is designed to look just like something the military would use. 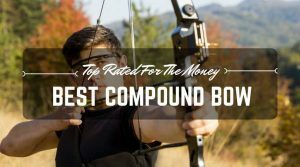 It is a top-of-the-line bow that offers superior shooting capability with accuracy and power. This bow is totally customizable so you can make it even better than it already is. This crossbow comes loaded with power. It includes a patent-pending Picatinny platform that fits AR parts from military and commercial manufacturers. The rails is 29 inches long, providing plenty of space full customization. Even the length of pull is adjustable to fit the style and speed of the shooter. From axle-to-axle, the crossbow measures 13.5 inches when fully cocked. This lets hunters fit into tight spaces and still get the shots they want from blinds or tree stands. The no-creep trigger allows for a lethally clean shot. The bow also comes coated with SilenTech; this finish keeps the vibration and sound down for better hunting the quiet of the woods. The draw weight comes in at a reasonable 175 pounds. It comes with a cocking rope, which lowers the draw weight significantly, making it reasonable to use this bow on a full day (or weekend) of hunting. The cocking rope keeps the draw consistent, which makes the shots more accurate, even as the shooter gets tired throughout the day. The cams are smooth, keeping the shot consistent, too. The bow includes a safety and anti-dry fire mechanism. Hunters who prefer to use the trigger will appreciate the 3.5 pounds of draw weight. The draw length on this crossbow are adjustable. The different choices are between 13-19.5 inches. 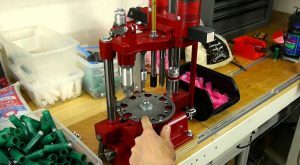 With the draw weight and length, the velocity of bolts is impressive. It is possible to reach 360 feet per second with 115 foot pounds of kinetic energy. Of course this speed is reached at close distances, but it is still possible to maintain 340 feet per second at 40 to 50 yard away. This speed is certainly enough to take out large game like elk, moose, and impressively sized deer. These speeds can create serious impact on a target block, so be sure you have the backs stopped firmly. With easy-to-read instructions, the crossbow can usually be assembled in about 15 minutes. After attaching the cable slide and mounting the limbs, the foot stirrup is attached. Then, the scope and quiver need to be mounted. Once that is finished, the scope can be quickly sighted – usually in about two shots – and hunting can commence. There are videos available for shooters who prefer to watch see the assembly rather than reading about it. The benefits of this crossbow are easy to see. It comes in a intimidating black color making it look like a military-grade tool. The dark color blends in well with ground blinds. 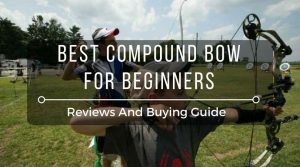 It is a lightweight bow, weighing in at 8.3 pounds; there are lighter bows, but not with so many benefits. The best part of the bow is the scope, which is dead-on accurate after hardly any sighting. 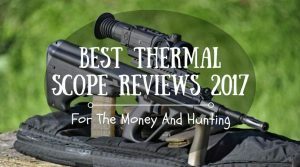 The 4×32 scope is illuminated and it has glass-etched reticles for easy spotting. Once it is sighted, the scope stays that way. 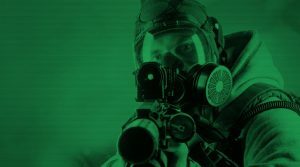 The scope works in every light conditions without problems. It is fog-resistant, too. The long rail is another benefit to the crossbow. It is long enough to add nearly any accessory with room to spare. The six-position AR stock is a plus, too. 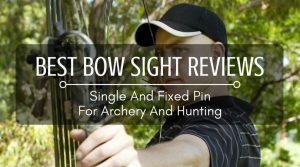 Another benefit is the fact that the arrow can be shot with a traditional draw or with a trigger, depending on the style of shooting the hunter prefers. Most crossbows have at least one downside, but there is not much to take note of this one. The only complaint would be the color. Some hunters prefer to shoot a bow dipped in camo because they are easier to hide in tree blinds. The 8.3 pounds weight can get heavy after a long day of hunting, too. Other than that, this bow is nearly perfect. 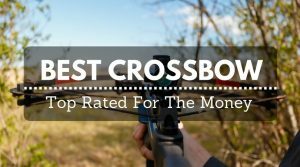 The power and accuracy of this crossbow make it a favorite with hunters of all experiences. It comes with one of the best scopes available. 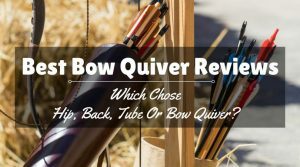 Hunters and shooters cannot go wrong with this strong and speedy bow.